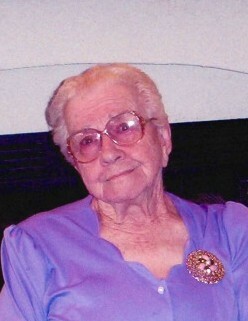 Valera Mae (Graham) Morgan, 94, passed away peacefully on February 11, 2019, at Wesley Medical Center in Wichita, KS. Born to Bruce and Anna Fern Graham. Valera was born in Kendall, KS on September 18, 1924. She attended school in Syracuse, KS, graduating in 1942. On August 16, 1942, Valera married Fred E. Morgan. Together they owned a farm south of Syracuse. Valera worked in O’Brien’s Department Store and furnished pies to local restaurants. She was well known for her wedding cakes, baking well into the 100’s. In 1968, they sold their farm and purchased the Jayhawker Motel in Great Bend, KS. They operated the motel until retirement in 1975 at which time they moved to Hutchinson. Valera continued working as the Banquet Manager for the Holidome for 15 years. He last employment was for the Kansas State Fair as a Hostess for the Celebrity Entertainers for another 17 years. Valera loved to cook and provide home cook meals for the people she loved. She had an opened door policy and would welcome anyone needing a home. Preceded in death by her husband, Fred E. Morgan; sons, Fred R. and Carl; sisters, Eyleen Scheibe, Lois Shank, Ester Hendrix. Survivors include sons, Terry (Michaelene) of Bella Vista, Arkansas and Howard (Gert) of Marion, Kansas; sister, Edith Helmer; 9 grandchildren; 22 great-grandchildren; 1 great-great-grandchild; and a large extended family. Valera was a loving mother and will be deeply missed by all her friends and family. Funeral Service is 10:00 a.m., Monday, February 18, 2019, at Eastmoor United Methodist Church. Visitation will be Sunday, February 17, 2019, from 5:00 – 7:00 p.m. at Zeiner Funeral Home in Marion. Memorials have been established with St. Luke Hospital, and Marion Senior Center and sent in c/o Zeiner Funeral Home 205 Elm St. Marion, KS 66861.